Let’s add on some blings on our brows! Benefit Cosmetics Bling Brow is perfect for this festive season, give some sparkle touch onto our brows. 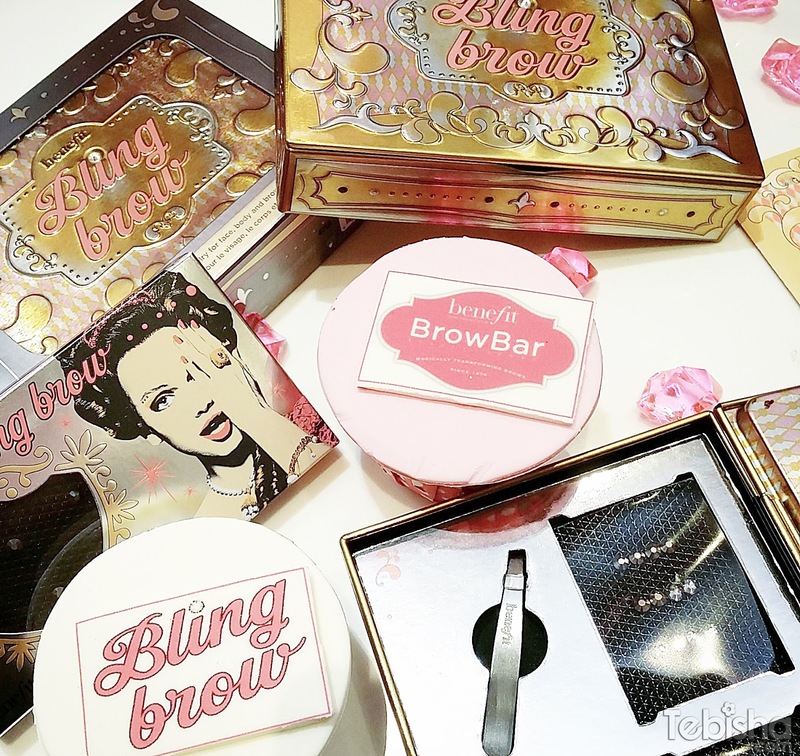 I was delighted to attend the Bling Brow Launch last month at Benefit Cosmetics Westgate branch and had an opportunity to meet Benefit’s Global Brow Authority, Jared Bailey in person. Received some useful brow tips from Jared Bailey and tricks on adding blings on our brows to make this holiday season slightly special. It was my first time witness how brows were being waxed at the Benefit Brow Bar (demonstration done by Benefit Cosmetics SG’s National Brow Artist, Jerlyn Low), was amazed by the result! I also had my brow waxed at Benefit Brow Bar last month, I’m truly satisfied with my neat and beautiful brows. I have to declare I’m addicted to Benefit Brow Bar, it’s a must for me to visit every month. Many thanks Benefit Cosmetics SG for hosting the informative event and the awesome goodies bag. And, I bling-ed my own brow! Every bling brow set comes with a mini tweezers, it’s easy and convenient to add on the blings. And this is my newly waxed brow (by benefit brow bar) with bling brow! This going to make you look outstanding and special at parties and dinner functions!